WASHINGTON, DC, January 22, 2019 (ENS) – Federal biological, pollution, and food safety monitoring has been suspended as hundreds of thousands of federal workers are furloughed and forbidden from working due to the longest government shutdown in American history. These interruptions create risks for human health and environmental protection, extending even to endangered species, according to Public Employees for Environmental Responsibility, PEER, a national association of employees in resource government agencies. The partial government shutdown began at midnight EST on Saturday, December 22. It occurred when the United States Congress and President Donald Trump could not agree on an appropriations bill to fund the operations of the federal government for the 2019 fiscal year, or a temporary continuing resolution that would extend the deadline for passing a bill. The sticking point is Trump’s demand for $5.7 billion for a barrier across the U.S.-Mexico border. The Democrats say fund and open the government first, then we can negotiate border security. The law prohibits federal departments or agencies from conducting non-essential operations without appropriations legislation in place. 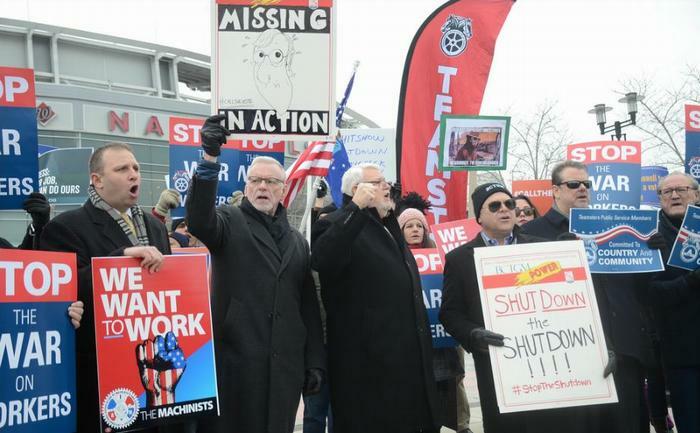 As a result, nine executive departments with around 800,000 employees have had to shut down partially or in full, affecting about one-quarter of government activities and causing employee furloughs. As of January 22, 2019, the shutdown is in its 32nd day. The Food and Drug Administration has suspended most of its food inspections intended to prevent food-borne illnesses, although the agency is considering resuming some portion of screening. Meanwhile, the U.S. Environmental Protection Agency, EPA, has shut down some of its water testing laboratories, including its regional lab in Georgia. States served by the Georgia lab, such as North Carolina, have stopped sending in water samples due to the closure, so water samples are not getting tested. “The government says that its employees are working where there is a threat to human health, but there is some confusion as to what work is exempted and what work is suspended,” said PEER Science Policy Director Kyla Bennett, a scientist and attorney formerly with EPA, pointing out that most food safety inspections and water quality monitoring has stopped. “Federal agencies should not wait for people to get sick before resuming testing to prevent illnesses,” said Bennett. Some shutdowns affect both human health and wildlife. 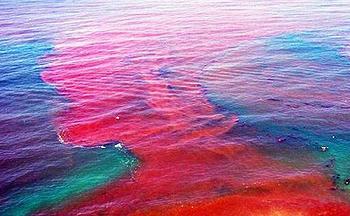 For example, National Oceanic and Atmospheric Administration, NOAA, satellite imagery is no longer available to monitor toxic red tide blooms off Florida’s coasts. Red tide poisoning has sickened swimmers and also killed more than 200 threatened manatees in 2018. The risks for wildlife are compounded by reopening nearly 40 national wildlife refuges for hunting access. PEER points out that this move is contrary to the U.S. Fish and Wildlife Service’s own Contingency Plan. By contrast, cessation of Fish and Wildlife Service, FWS, formal consultations under the Endangered Species Act on incidental take of wildlife allow injurious activities to proceed if FWS does not object within set time limits. “Our Fish and Wildlife Service prioritizing hunting above wildlife protection is troubling, to say the least,” said PEER Executive Director Jeff Ruch, noting that hunting promotes neither human safety or resource protection, but may do just the opposite. The partial government shutdown is taking its toll on America’s national parks and the people who visit them. The National Parks Conservation Association, NPCA, a nongovernmental organization that works to protect the parks, says all national parks should be closed until the conflict is resolved. NPCA believes it is not only reckless to keep national parks open without adequate staffing, it endangers lives and is illegal, violating at least four separate provisions of federal law. NPCA is partnering with Democracy Forward to demand that the Office of Inspector General of the Department of the Interior open an investigation into Acting Interior Superintendent David Bernhardt’s decision to keep parks open using recreational fees. In one case at Yosemite National Park, a hiker died from a fall after chasing his dog on a trail near Nevada Fall. Had staff been on duty at the time of the incident, as is normally the case, rangers very likely would have prevented the visitor from taking his dog on the trail. The investigation into the hiker’s death has been delayed and no press statement was issued, both due to staffing shortages. Other deaths have been reported at national park sites since the partial shutdown began, although there is no evidence at this time to suggest that illegal activity or reduced staffing due to the shutdown were factors. 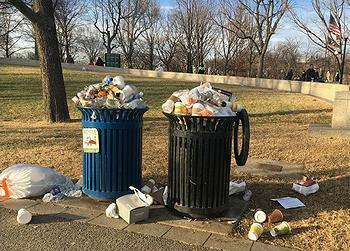 Blogging on the National Parks Conservation Association website January 16, Emily Douce and John Garder posted a list of other problems in the parks resulting from the shutdown. NPCA estimates that the Park Service is losing $400,000 per day from entrance fee revenue. This revenue loss disproportionately harms some of the largest and most popular parks in the park system, such as the Grand Canyon, Shenandoah, Yellowstone, Yosemite and Zion, because these parks keep 80 percent of their entrance fees on site and depend on this revenue for their operating budgets. The Department of the Interior directed its staff, including National Park Service staff, to keep national parks as accessible as possible while still obeying the law. This means that approximately a third of our national park sites are completely closed, including places like presidential homes, museums and cultural sites with buildings that can be locked. Gates at many other park sites remain open, but few if any staff are on hand to protect visitors and park resources. Many visitor centers and restrooms remained locked and roads are closed due to weather. In some cases, national parks have used supplemental funding from partner groups and state budgets to stay open, diverting resources from maintenance projects and park programs. In other cases, parks initially remained open and park superintendents later made decisions to close areas such as campgrounds and roads due to health and safety concerns from overflowing toilets, hazardous weather conditions and other dangers. In some parks, roads that are normally plowed remain impassable due to lack of maintenance, so the parks remain open but difficult to access. Park managers have a great deal of flexibility in deciding whether to close certain areas, and the effects of the shutdown differ from park to park. Some parks that had initially remained open later closed due to public safety and resource protection concerns, although several, such as Sequoia and Kings Canyon National Parks, later reopened using funds from previously collected recreational fees, a move NPCA maintains is illegal. At Joshua Tree National Park in southern California, the situation has been especially severe. Vandalism, illegal camping and off-road vehicle use, and extensive trash and human waste led Superintendent David Smith to announce that he would close the park indefinitely, although a press statement from the National Park Service later reversed this decision and declared the park would stay open using previously collected fee revenue. 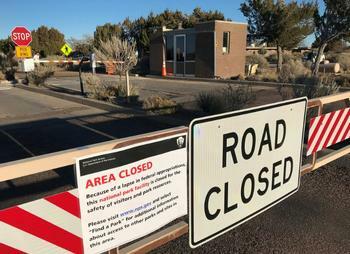 Smith reported on January 8 that vandals had cut locks off of closed entrance gates, killed Joshua trees and driven vehicles illegally in closed parts of the park, creating new roads through pristine desert areas. Many national park sites are experiencing problems with human waste in open areas, along roads and at overflowing toilets, a serious concern for human health as well as wildlife health, Douce and Garder report. Increased waste and litter; dog-walking, parking and camping in unpermitted areas; and the unauthorized use of drones have threatened wildlife and habitat in some parks. And because of the lack of park staff to educate visitors and supervise operations, visitors are driving, hiking, using off-road vehicles, parking and camping in areas where these activities are not permitted. Some visitors are getting into altercations over campsites and parking sites. These activities create unsafe conditions for people, wildlife, plants and park resources. Additionally, the lack of personnel increases the risk of vandalism to historically important sites. The shutdown has also put a halt to significant long-term scientific research, including a 60-year study of wolves and moose at Isle Royale National Park, which recently led Park Service staff to reintroduce wolves to the park, as well as the longest continuous water quality study in a U.S. national park, which has monitored streams in the Shenandoah National Park watershed since 1979. Trump’s border wall is bad for the environment, according to the NGO Center for Biological Diversity, which has its head office near the border in Tucson, Arizona and one of its other offices in Mexico. Now Donald Trump wants a wall across the entire 2,000-mile border. “Trump’s wall would harm border communities, perpetuate human suffering, destroy thousands of acres of habitat and halt the cross-border migration of dozens of animal species,” the Center warns. As demonstrated in the Center’s 2017 report “A Wall in the Wild,” 93 threatened, endangered and candidate species would potentially be affected by construction of a wall and related infrastructure spanning the entirety of the border. Some good news for farmers arrived at the end of the day. The U.S. Department of Agriculture, which has been closed, today announced that all county Farm Service Agency offices will reopen on Thursday, January 24 to provide select services. For the first two full weeks under this operating plan (January 28 through February 1 and February 4 through February 8), FSA offices will be open Mondays through Fridays during normal business hours. In subsequent weeks, offices will be open three days a week, on Tuesdays, Wednesdays, and Thursdays, if needed to provide the additional administrative services. Market Facilitation Program (deadline extended to Feb. 14).